Timing is everything in politics, particularly when it comes to large-scale capital projects. So when two members of the Lake Oswego City Council — Mayor Kent Studebaker and Councilor Theresa Kohlhoff — appeared before the West Linn City Council on Monday night to discuss a proposal for a partnership on a new community pool, the message from West Linn wasn't a resounding "no." Rather, West Linn councilors said the timing simply wasn't right for the significant investment Lake Oswego was proposing. To prove their point, the councilors noted another agenda item scheduled for later in the meeting: discussion of a General Obligation bond and a list of projects that would be prioritized if voters approve a measure in May to generate an estimated $16 million. A pool would not be among those projects. "I don't think we're in a position to be able to talk about this at this point," City Councilor Teri Cummings said. "We've got other projects and a (bond) measure in May that doesn't include something like this, and we have a very tight budget too." The discussion with Lake Oswego was scheduled on the heels of a Dec. 22 letter sent by Studebaker to the West Linn council. Ever since Lake Oswego voters approved a $187 million school bond last May, the Lake Oswego School Board and City Council have been exploring whether $7 million allocated in the bond for a new pool is enough — or whether some kind of public or private partnership will be required to build a facility that would benefit the entire community. "The Lake Oswego City Council is having discussions with the Lake Oswego School District on the possibility of partnering on the construction and operation of a swimming facility that would meet the needs of both the school sports programs and the broader community," Studebaker wrote. "One of the many options we're considering is to locate an aquatic center as part of a larger community recreation center in the Stafford Road area, near the intersection of Stafford and Rosemont. Since that location is close to West Linn, our council is interested in knowing if your city would be interested in joining this effort." The cost for West Linn was estimated to be $3 million for construction of the facility and $200,000 per year to support operations and maintenance costs. "Seven million dollars was set aside to redo the pool — the question now is how big of a pool and what is the cost?" Studebaker said at the council meeting. "There's a portion of the city that would like it to be more than 25 yards, they would like a 50-yard pool. Our estimates are that besides the $7 million the school district has, this would cost an additional $7 million. Our budget is as tight as yours, so finding money for it would be a problem." He added that even under the proposed partnership, the pool would remain a Lake Oswego School Board initiative. "The school tax base is a lot larger than the city tax base, so you might want to talk to your School Board folks and see if they're interested," Studebaker said. West Linn City Council President Brenda Perry said that would be complicated, though, given that West Linn shares a school district with another city. "We're Wilsonville as well, and I'm not sure the School Board would go for it unless Wilsonville could use it," Perry said. City Councilor Bob Martin was more bullish on the proposal than other councilors, saying that Wilsonville's presence could actually help. "We've got Wilsonville, West Linn, Lake Oswego and two school districts … so five sources of funding," Martin said. "That makes it even easier to think of financing it when you collaborate like that. "I'm very happy to see us all working together toward this," he added. "If the question is, 'Should we explore this?' I think absolutely we should explore it, diligently." 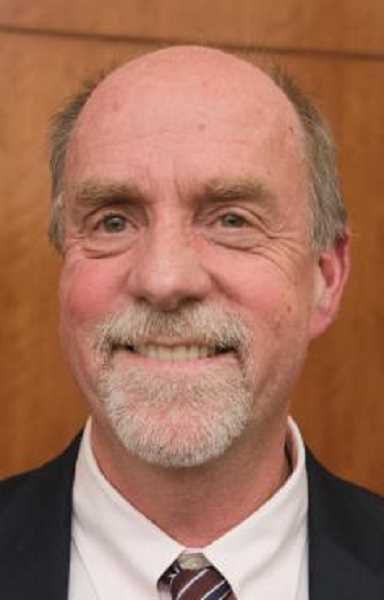 West Linn Mayor Russ Axelrod said he is a devoted swimmer and would personally love to have a pool, but he said it would be difficult to build a facility to fit everyone's needs and that accessibility could be an issue for Wilsonville residents. "I like the idea — I wouldn't close the door on exploring options that might pay for themselves, but it's a big lift," Axelrod said. "As you keep coming up with some ideas, let's look at them and talk about them." Studebaker was amenable to that approach, and said the pool will be one of the last things to be dealt with as the bond money is spent. "We'll keep in touch," Axelrod said.